evolution – Len Bilén's blog, a blog about faith, politics and the environment. Scientists’ march on DC, a Limerick. 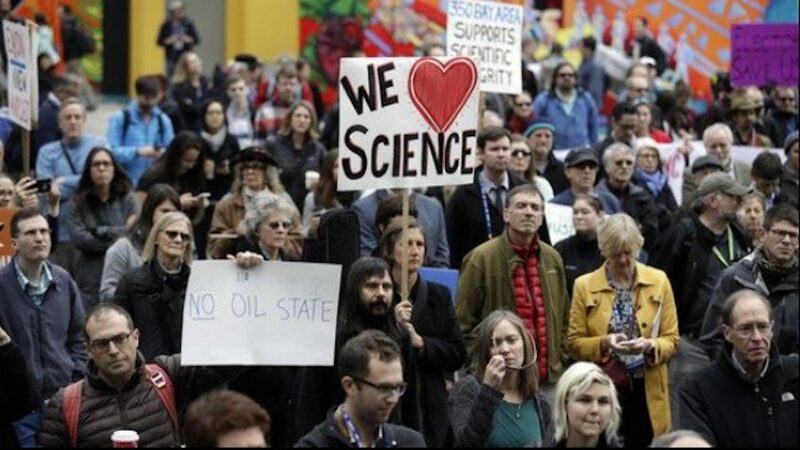 A scientists’ march on D.C. ? Conform or get cut, can’t you see? Sometimes in the near future there will be yet another march on Washington. This time it is from “concerned scientists” that want to take politics out of science, be allowed to be true scientists with no biases or prejudices. To prove the point they have laid down the ground rules for participation in the march and produced this manifesto: There are certain things that we accept as facts with no alternatives. The Earth is becoming warmer due to human action. The diversity of life arose by evolution. Politicians who devalue expertise risk making decisions that do not reflect reality and must be held accountable. An American government that ignores science to pursue ideological agendas endangers the world. Let’s take a look at that manifesto. There are certain things that we accept as facts with no alternatives. What happened to scientific curiosity? Is science ever settled? Do they mean there is nothing new to discover? The Earth is becoming warmer due to human action. Well, for once I agree. We are returning CO2 to the atmosphere in increasing amount, and that is good. If nothing else changed, the logarithmic temperature increase with increased CO2 levels would cause the earth to warm up by 0.9C for a doubling of CO2, more if there is a gain in the system, less if there is negative feedback. The gain factors are mostly due to increased evaporation from warmer oceans, the negative feedback is supplied mostly through increased clouds, coming from increased absolute humidity. (I realise there are many other factors affecting climate, but this is a start, science is by no means settled). 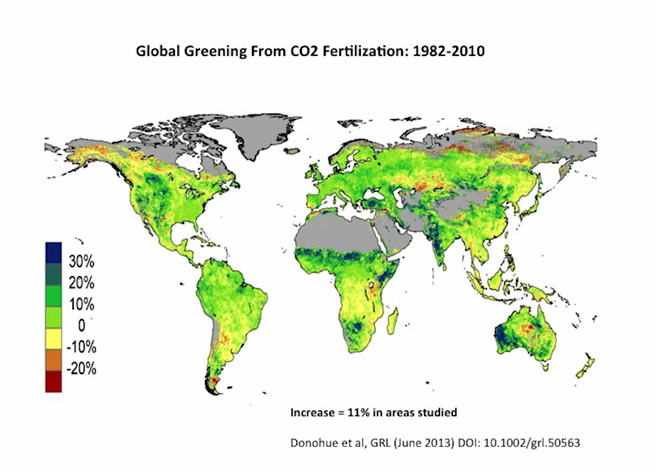 What is observed is that the earth is getting greener, and the increased CO2 from 280 PPM to 405 PPM makes the earth able to feed another two billion people without starving, not to mention plants and animals, and also use less water in doing so. Check the figure: The growth without added fertilizers 11%, extrapolated from the beginning of burning fossil fuels to now the increase is about 42%. This is a transfer of wealth from areas burning the fuel to agricultural areas, mostly in developing countries. The diversity of life arose by evolution. Now that is a limiting statement. While there is great evidence for adaption, a valid scientific explanation for evolution simply is not credible, apart from intelligent design. The math is not there for another explanation, the DNA code is too complicated and complete including repair codes, start and stop codes to induce aging, and with codes to allow for future adaption already built in! Politicians who devalue expertise risk making decisions that do not reflect reality and must be held accountable. The number of guilty politicians are too numerous to count. Posted on January 27, 2017 Categories climate, CO2, environment, evolution, faith, limerick, Obama, politics, scienceTags Climate change, CO2, Donald Trump, environment, faith, Limericks, Obama, politics, scienceLeave a comment on Scientists’ march on DC, a Limerick. Thought for the day. Jesus Christ and gravity waves. In 1905 Albert Einstein proposed that the speed of light in vacuum is the same, regardless of the speed relative to the observer. That being the case, if the relative speed of light does not change, then something else must change. After much thinking and a few false starts he determined the dimension that changes is time, and published the theory of specific relativity. He then spent 10 years trying to include acceleration in his equations and published his theory of general relativity in 1915. In it, he determined that massive objects cause a distortion in space-time, which is felt as gravity. Rmn – ½ gmnR = 8pG Tmn. 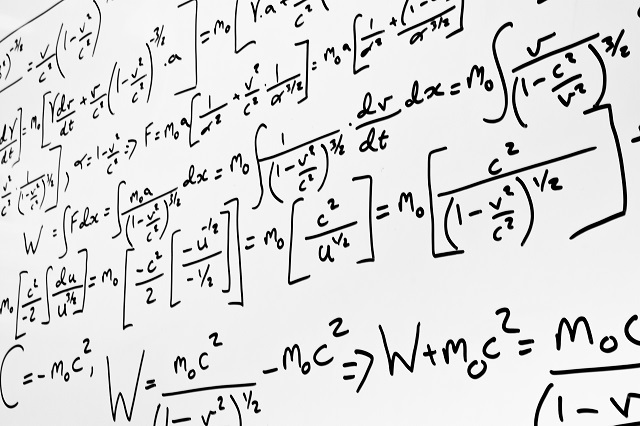 It is not as simple as it seems, the suffix mn describes curved space-time and the equations grow until the whole blackboard is filled, and then, that was just the beginning. On Feb 11 it was published that Einstein’s prediction of gravity waves were confirmed. A billion dollar set of gravity detectors verified gravity waves from a pair of rapidly rotating black holes. This was a giant step forward of science, we now can understand mathematically what holds the universe together. atom together? 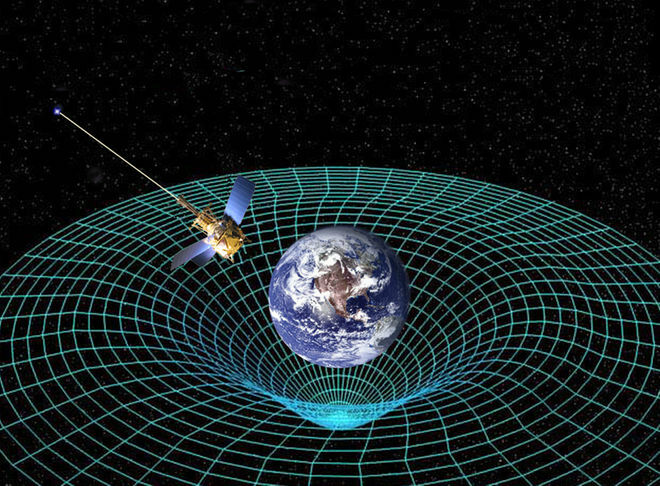 Using the curvature of space-time as a model the scientists derived mathematically 11 total dimensions that can explain the glue that holds everything together. They stopped there, for the 12th dimension would be an alternate time, and since we are bound in space-time there is no way to verify the existence of alternate time. All of these mathematical formulas describing the universe and how it is stable assume that the laws of Physics are unchangeable through time and space. This is the universal question: If the laws of Physics cannot change, how come we exist? There must have been a creation. Current scientific thinking is the Big Bang, creating the whole universe out of a singularity, and maybe an anti-universe as well filled entirely with anti-matter. But even this indicates there was a beginning, during which time the laws of Physics were established. This begs the question: Are we really only a product of time plus chance plus nothing? The probability of this being the case is much less than finding the needle in a haystack, more like finding the right elementary particle in the universe. Yet, that is what is taught in school. It is far more reasonable to assume the existence of a God, a God that created it all including the mathematical formulas which rules the universe. The Bible explains Creation in the first three verses of Genesis: In the beginning God created the heavens and the earth. Now the earth was formless and empty, darkness was over the surface of the deep, and the Spirit of God was hovering over the waters. And God said, “Let there be light,” and there was light. To believe the Biblical account requires a step of faith; it is free from all scientific explanations, concentrating on the spiritual truths. In the first three verses it introduces all three members of the Godhead, the Father, the Word and the Spirit. (In other passages of scripture Jesus Christ is described as the Word: And the word became flesh and dwelt among us.) Reading the Bible from a spiritual perspective made a believer out of me, and this explains the meaning of Colossians 1:15-17. Posted on February 15, 2016 February 15, 2016 Categories Christian, evolution, faith, science, thought for the dayTags Christianity, Creation, faith, general relativity, gravity waves, religion, song, thought for the dayLeave a comment on Thought for the day. Jesus Christ and gravity waves. The evolution of evolution. An elusive quest for truth. In my childhood in Sweden our family lived is a small community where grades 3-6 were taught together in one class. This meant that the teacher did allow a lot of freedom to explore on my own books in the school library. They had not thrown away any old books the last forty years, so I had quite a selection of old textbooks to choose from. One in particular caught my eye. It was about anthropology and classification of races by skull index (Cephalic index, see fig). It was originally based on the works of the Swede Anders Retzius (1796-1860). His research was to classify old bone fragments, but his findings were now extrapolated to explain the evolution of man. There were pictures of people of all kinds of races, with the Nordic, blond and blue eyed being the most evolved, and the black race, with some exceptions much closer evolutionary to the apes. Not only that, but since men have 40% larger brain volume on the average than women, men are further evolved and that is the reason women should not vote. Being 9 years old I believed everything, since it was in a book. I especially liked being superior to girls. The next time evolution was taught it was the standard stuff with the horse’s hoof being a nail; fishes grew legs instead of fins and so on. We also have a lot of rudimentary organs, not only the appendix, but tonsils and tailbones too. Since the organs are rudimentary, we can remove them without impunity, especially tonsils. And this time around in evolutionary teaching dogs can evolve to look quite different, but people are all equal, and girls are as smart as boys (especially the blond Lithuanian girl that later emigrated to Canada. I had to admit she was both cute and smart). The third time around, this time in high school biology we tackled some of the hard stuff, mutations being a necessary ingredient for evolution. 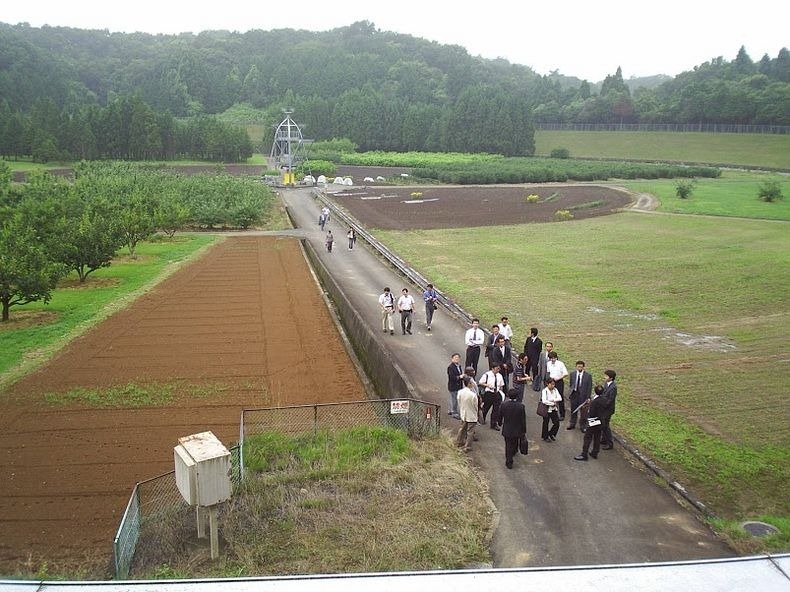 I read up on radiation gardens, where we can grow superior plants, since we know that at least 10% of mutations are beneficial, just weed out the bad ones and superior plants will emerge. The radioactive gardens are now but a memory, since it was discovered that nobody could find any positive mutations that way. The closer you got to the source, the worse it got. It turns out that positive mutations are rare indeed. The ones most commonly found are in viruses, but they are positive only from the virus’s point of view. Survival of the fittest tends to weed out bad mutations, but does nothing to explain the mechanism for speciation creep; it tends to reinforce the speciation boundaries. The genetic code that allows adaptions in species is already there, so when the changed environment occurs, we are changed accordingly. None of the mechanisms we have used to explain evolution holds up to examination. The mathematics is just not there. And a system this complicated and beautiful, where so many parts of it are at a mathematic optimum is not possible to bootstrap. 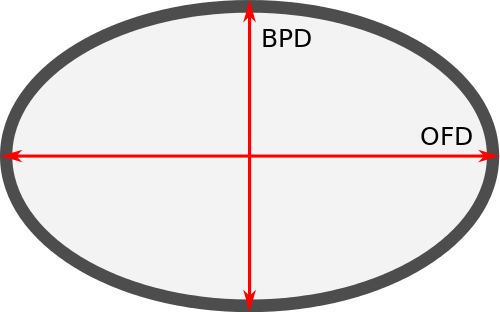 The mathematical probability that this could have occurred by chance is less than the chance of finding the right elementary particle in the known universe. We are left with the humbling fact that we do not know the mechanisms. Yet the textbooks still explain discredited mechanisms as evolutionary facts to yet another generation of kids, thus depriving them of the wonder that there is something beyond themselves, which they can try to grasp. They are left not realizing that there is always one more level of understanding that is beyond them. By not accepting any explanation other than what can be deduced from observation and then presenting them as sufficient facts to explain a mechanism that cannot mathematically have occurred, the scientific community is violating the fundamental rules of scientific exploration. Do not present as fact a mechanism that has no possibility of having occurred by chance. Posted on May 16, 2014 Categories evolution, faith, science, testimonyTags evolution, faithLeave a comment on The evolution of evolution. An elusive quest for truth. The evolution of evolution from my childhood to now. Science is not settled. In my early childhood in Sweden we lived is a small community where grades 3-6 were taught together in one class. This meant that the teacher did allow a lot of freedom to explore on my own books in the school library. They had not thrown away any old books the last forty years, so I had quite a selection of old textbooks to choose from. One in particular caught my eye. It was about anthropology and classification of races by skull index. It was originally based on the works of the Swede Anders Retzius (1796-1860). His research was to classify old bone fragments, but his findings were now extrapolated to explain the evolution of man. There were pictures of people of all kinds of races, with the Nordic, blond and blue-eyed being the most evolved, and the black race, with some exceptions much closer evolutionary to the apes. Not only that, but since men have 40% larger brain volume than women, men are further evolved than women. Being 9 years old I believed everything, since it was in a book. I especially liked being superior to girls. The next time evolution was taught it was the standard stuff with the horse’s hoof being a nail; fishes grew legs instead of fins and so on. We also had a lot of rudimentary organs, not only the appendix, but tonsils and tailbones too. And this time dogs can look quite different, but people are all equal, and girls are as smart as boys (especially the blond Lithuanian girl who emigrated to Canada. I had to admit she was both cute and smart). The third time around we tackled some of the hard stuff, mutations being a necessary ingredient for evolution. I read up on radiation gardens, where we can grow superior plants, since we know that at least 10% of mutations are beneficial, just weed out the bad ones and superior plants will emerge. The radioactive gardens are now but a memory, since it was discovered that nobody could find any positive mutations that way. The closer you got to the source, the worse it got. It turns out that positive mutations are rare indeed. The ones most commonly found are in viruses, but they are positive only from the virus’s point of view. Survival of the fittest tends to weed out bad mutations, but does nothing to explain the mechanism for speciation creep; it tends to reinforce the speciation boundaries. The genetic code that allows adaption in species is already there, so when the changed environment occurs, we are changed accordingly. None of the mechanisms we have used to explain evolution holds up to examination. The mathematics is just not there. And a system this complicated and beautiful, where so many parts of it are at a mathematic optimum is not possible to bootstrap. We are left with the humbling fact that we do not know the mechanisms. Yet the textbooks still explain discredited mechanisms as evolutionary facts to yet another generation of kids, thus depriving them of the wonder that there is something beyond themselves, which they can try to grasp, but realizing that there is always one more level of understanding that is beyond them. Posted on January 25, 2012 January 25, 2012 Categories evolution, scienceTags evolution1 Comment on The evolution of evolution from my childhood to now. Science is not settled.